One of the neatest things that the mobile revolution has brought about is an increase in intelligent fitness apps and accessories. Everything from belt clips that can tell how far you've run to zombie-augmented 5K training. The Amiigo bracelet and shoe clip combo may be one of the coolest projects, though. The company behind it promises that, between the two pieces, the system can track any workout you do. If it performs as advertised, this could be amazing. The software is where the magic really happens (as always). The accompanying app can track up to a hundred different workouts and cross that data with heart rate, blood oxygen levels, calories burned and a bunch of other fun information your body spits out. As if that wasn't enough, it also tracks your progress with points and allows you to engage with your friends. You'll be positively swimming in data. Social interaction is a great idea when it comes to fitness as it demands accountability. Tracking devices are also fantastic as they provide automated records of what you do, showing the user exactly how much they've accomplished, which is also motivating. If all of that could be put into a single package that's effortlessly integrated, it could be a huge hit. Which may be why this project on IndieGogo has achieved more than twice its funding goal of $90k inside a week. With 36 days left. Impressive. Of course, with any crowd-funded project, we'll have to wait and see how well this really goes. It could be months or years before we see this land in consumers' hands, if at all. Even then, no guarantees can be made on whether it actually does what it says it can do. Still, call us hopeful. This is the kind of thing that we'd love to use if it can do what it promises. Also, any organization that uses Glitch Mob for its product demo soundtrack is alright in my book. Amiigo unveiled its first product, a bracelet and shoe-clip, on Indiegogo. Amiigo has raised over $150,000 dollars in its first week. SALT LAKE CITY, Jan. 24, 2013 /PRNewswire-iReach/ -- Amiigo, a Salt Lake City start-up, has developed a new device for gesture recognition and fitness tracking. Simply put, Amiigo has created a bracelet that uses accelerometers and machine learning algorithms to automatically identify and track specific exercises. For example, the Amiigo device knows if users are using the elliptical trainer vs the treadmill, or doing bicep curls, swimming, cycling, etc. Amiigo can also track metrics like reps, sets, speed, heart rate and blood oxygen. This new approach gives users an entirely different fitness tracking experience. The Amiigo device consists of a bracelet and shoe-clip; both are used for this detailed, full-body tracking experience. Amiigo uses a proprietary gesture recognition technology to generate unique references for each movement. After an exercise is performed, Amiigo's algorithms will identify that specific movement and display it on the Amiigo iOS or Android app. Amiigo can track and identify over one-hundred different activities and can correlate those activities with physiological information such as heart rate and blood oxygen saturation. "Amiigo tracks what your doing and how your body is responding," says co-founder Dave Scott . Supporters can order the Amiigo bracelet through Indiegogo for $99 and $119 for color options. Since their launch on Indiegogo, Amiigo has raised over $150,000 dollars from its +1200 supporters. So far, Amiigo has been able to attract a wide audience of athletes, as Scott states: "Amiigo is the ideal tracking device for runners, swimmers, weightlifters, cyclists and anyone who exercises routinely. We go far beyond overall activity tracking and hope to give users a more fun, simple and engaging fitness experience." Amiigo is a useful solution for anyone interested in fitness. 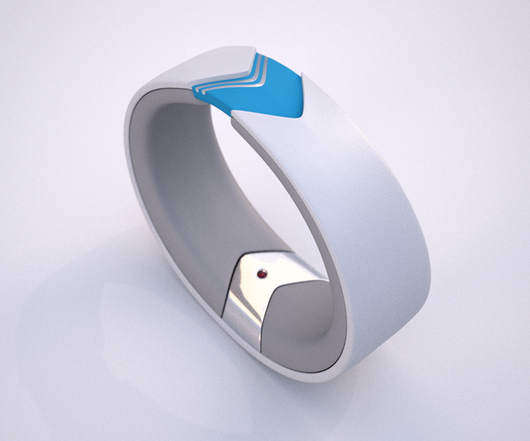 2013 is quoted to be the year of wearable sensors, and there is a new player in town, calling themselves Amiigo.